Welcome to Driftwood Resort, where the sky seems a little bigger, the air fresher, and days are spent just the way you like them. Here, you can explore pristine Sand Lake, take in picture-perfect sunsets, and—perhaps most importantly—unwind with your family. Your family cabin up north. Our six two-bedroom cabins are within steps from the shore of Sand Lake and backed by hundreds of acres of pristine National forest—the perfect backdrop for your family’s vacation. Sand Lake is 4,000 acres/70 feet deep and known for its abundance of walleye, northern pike, bass, crappie, pan fish, and perch. All you need is your pole...and maybe a little luck! Experience everything the Northwoods has to offer at Driftwood Resort, which is nestled in the heart of the Chippewa National Forest on the northwest shore of Sand Lake. When you're ready to unwind, head to Driftwood Resort, where your quintessential Northern Minnesota vacation awaits. Welcome to your cabin up north. 6 cozy cabins + 1 scenic lake = countless family memories. You’ll feel right at home in any of our six two-bedroom cabins. And when you’re ready to get outside, there are plenty of toys and activities—including a playground and a whole slew of yard games—to keep the kids busy. You’ll find tons of quiet places to settle in with a good book and endless outdoor space to explore. Plus, there’s the lake. Swim it, fish it, boat it—you’ll love it. Catch this: Sand Lake has great fishing. Without a doubt, Driftwood is a great fishing resort. Anglers from around the country visit time and again because they love Sand Lake—a 4,300-acre lake that dives to depths of 70 feet and one of Northern Minnesota’s top walleye fisheries. 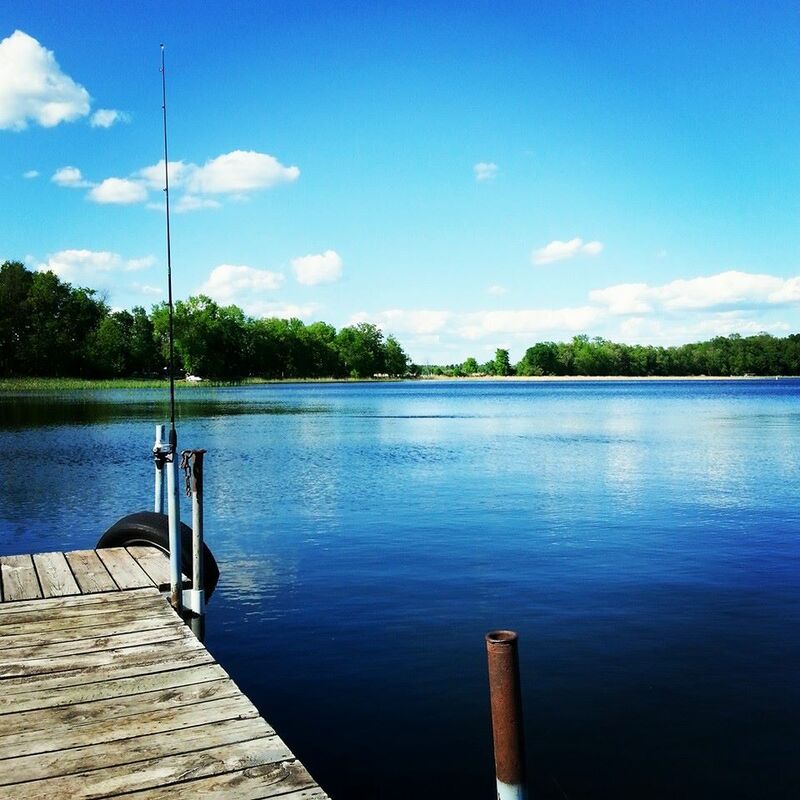 Sand Lake is also known for its abundance of northern pike, bass, crappie, pan fish, and perch. Driftwood Resort is located in one of the more sheltered bays of Sand Lake, making it the perfect place to experience lake life from the shore, dock, or boat. Bring your boat—or reserve one of our rentals—and spend the day swimming, fishing, tubing, waterskiing, wakeboarding, or cruising the open water. You’ll love the lake, just like the abundance of wildlife that call Sand Lake home. With over half the lake in state- or federally-protected forest, there are hundreds of acres of untamed wilderness to explore and wildlife to see. The view of Sand Lake from the cabins.